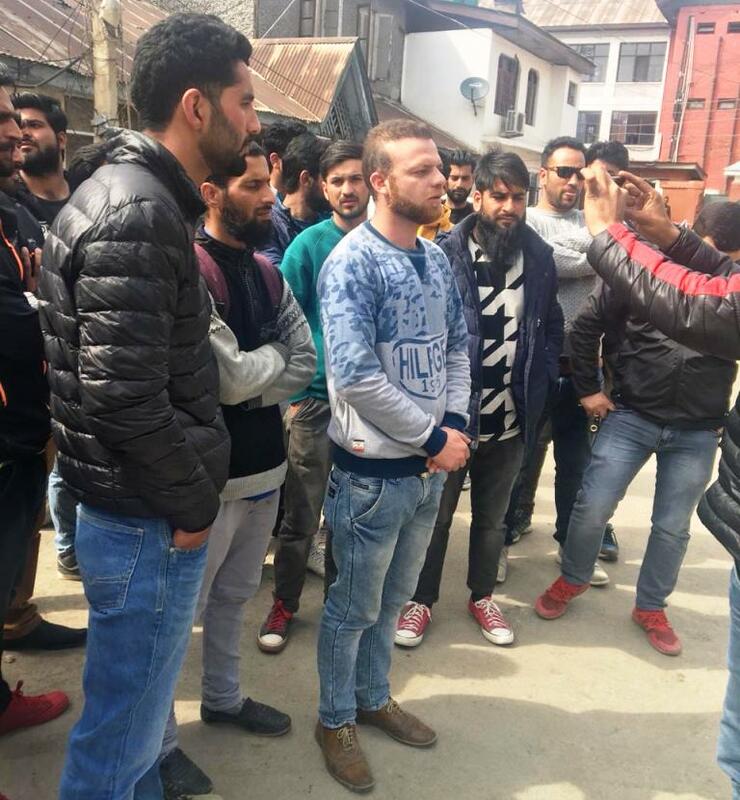 SRINAGAR: A group of prospective entrepreneurs who were trained and mentored by the JKEDI on Monday protested against the delay in approval of their cases and disbursement of funds by the institution. They alleged that they are hanging for the last more than eight months and their cases are not being finalized by the Steering Committee. The candidates were from different parts of Kashmir. They first appeared in the Press Enclave Srinagar and later went to the EDI campus in Pampore where they are still protesting, reports said. Reports further said that employees of the institute and the J&K Bank at EDI Pampore campus were not allowed to leave the campus till this report was filed. “We have started a business of above the 30 lakhs for separate projects”, Faheem, one of the protesting candidates, alleged. He said the institute has not been able to convene the steering committee meet for Kashmir division since December last year due to which more than 900 cases complete in all respects are pending for approval. “In last three months the EDI has not been able to convene a single meeting of the Steering Meeting,” a protesting youth lamented. One of the protesters said that they have invested their entire resources in the respective projects but the delay in mandatory support from the JKEDI is resulting in cost and time overruns. “The loans that were supposed to come have not been approved so far,” another protester Auqib said. They also shouted slogans against the JKEDI and appealed governor administration to look into this matter and release our funds as early as possible. They alleged that JKEDI management has been ‘ignoring’ their phone calls for the reasons better known to them. They threatened to continue the agitation till JKEDI authorities arrange Steering Committee Meeting headed by Commissioner Secretary, Labour and Employment Department. JKEDI sources said that the high power steering committee that decides on the cases has not met for a few months and the cases are piled up. “Perhaps the model code of conduct is the reason,” an official, speaking in an individual capacity and anonymously,” said.